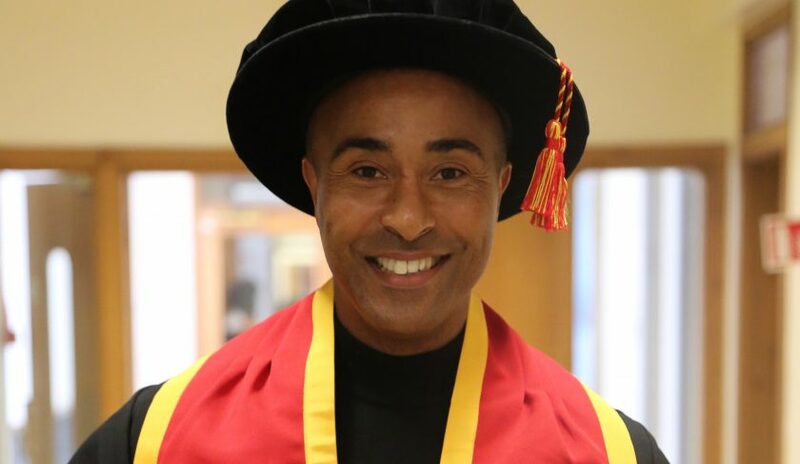 Wrexham Glyndwr University’s new Chancellor, sporting legend Colin Jackson, will be officially installed next week at a ceremony at the William Aston Hall. The Chancellor role is an ambassadorial one, which will see Colin preside over graduation ceremonies and other on-campus events. Wrexham Glyndwr University Vice-Chancellor, Professor Maria Hinfelaar said: “We are delighted to welcome Colin Jackson as our new Chancellor. Doors are open from 11am with the ceremony beginning at 12pm. This is a ticket only event – tickets can be obtained from Wrexham Glyndwr University’s main reception or alternatively reserved online: https://www.eventim.co.uk/event/installation-of-the-universitys-chancellor-william-aston-hall-11610317/?affiliate=WXH.